The euro has fallen to a new four-year low against the dollar, fetching 1.2144 dollars in New York trading, as the European debt crisis led to new financial restrictions by Germany spooking markets. Bearish sentiment on the euro prevailed even after eurozone finance ministers vowed to fix the region's finances while expressing concern at their plunging currency. "The sentiment is very fragile," said Vassili Serebriakov, currency strategist at Wells Fargo Bank. "There are probably 100 reasons to sell the euro right now -- the ECB credibility is one issue, the growth concern is another issue, the lack of clear message from the EU different politicians in the euro zone is an issue, and the list goes on." 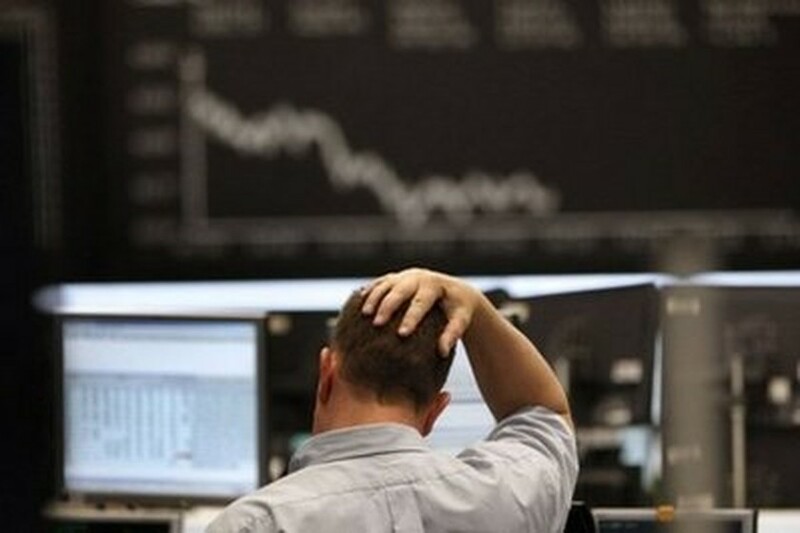 A trader is seen at Germany's stock exchange in Frankfurt. Traders said the euro's decline accelerated after Germany said it would issue new restrictions on bearish trading, also a reason for Wall Street's plunge by more than 100 points Tuesday. "The only possible explanation for the move was Germany's decision to ban naked short selling and Venezuela's suspension of currency trading with plans to move to a trading ban," said Kathy Lien, director of currency research at Global Forex Trading. "Venezuela is because their concern about a rapidly depreciating currency is most likely shared by other central banks around the world," she said. Venezuela's central bank said that from Wednesday it is to introduce currency exchange bands in a bid to shore up its sinking money against the dollar and tamp down on runaway inflation. "Central banks and other policymakers are becoming very nervous about the volatility in the financial markets and have resorted to fighting individual fires," Lien said. Germany's securities market regulator Tuesday slapped a ban on certain speculative trading practices as it tried to stamp down market volatility in trading in government bonds of the 16 eurozone members. Naked short sales "will be banned from midnight" for certain securities, a finance ministry spokesman told AFP in Berlin. "The extraordinary volatility of the bonds of eurozone states" justified the ban on short selling, said the German market regulator, Bafin. Given the current market conditions, with investors fearing possible contagion from the Greek debt crisis, "new excessive price variations could harm many on the financial markets and threaten the stability of the whole financial system," said Bafin. Naked short selling occurs when investors sell on the market a stock they don't own and haven't even borrowed, hoping to be able to buy it back later in the day at a lower price, thereby earning a profit. Short selling has been repeatedly implicated in quick drops in markets, and its use has been limited or banned during the financial crisis on major exchanges.